Sydney Festival was from 8 – 26 January, 2015. Each year, the Festival is comprised of around 400 performances of 140 events performed by more than 1000 artists in more than 30 venues. 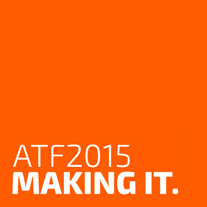 As the presenting partner of ATF 2015, Sydney Festival offered discounted tickets for delegates to attend Festival events. The Wau Wau Sisters Are Naked as the Day they Were Born Again!